The Google+ app for iOS opens web URLs in Chrome if installed, how soon until all Google apps do that? Earlier today, Google released an update to its Google+ app for iOS, expanding support for Hangouts. But tucked in there is a one-line update not which could have some interesting implications for Google’s ecosystem on Apple’s platform. The update note reads like this: Web links in posts now open in Chrome (if installed). Now, that might not seem like a big deal, perhaps more of a convenience thing than anything. But there’s more to it than that. See, Chrome is actually a pretty darn good browser on iOS. 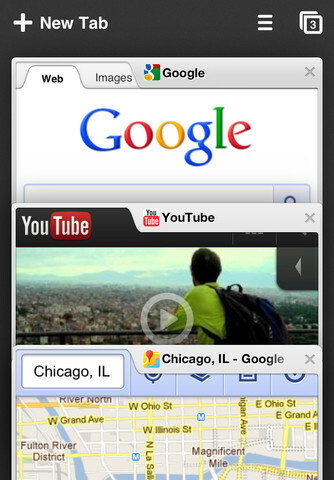 It offers some interesting takes on tab management, syncing with Chrome desktop and a crisp design sensibility. However, it’s working with some fairly large handicaps on iOS. It turns out that there actually is a provision for directing links to particular apps, and it’s provided by Apple itself. It’s called URL schemes and its an official tool that Apple gives developers that allows them to communicate with apps from ‘outside’. If you want to send a post to Twitter from outside of the app itself, for instance, developers can use the “twitter://post?message” URL scheme, which will open the Twitter app with a new message ready to go. This URL scheme system is the one that Google is using to send clicks from the URLs in posts of its app out to Chrome. For now, it’s an option, but moving the option to a settings menu could effectively make it a default for many users. In fact, Google already provides iOS developers documentation for utilizing Chrome URL schemes to send items to Chrome instead of other default apps. It seems like a given, at this point, that all of Google’s apps on iOS will eventually allow the use Chrome to display links. If you have Chrome and all of Google’s apps installed, you’ll be living in a pocket universe on iOS, populated by all Google properties. It’s a workaround for not being allowed to be the default browser. Any of the other apps in iOS that don’t pull a similar trick will still go to Safari, but Google’s properties will, by default, go to Chrome. If you don’t have Chrome installed, your links will get thrown out to Safari, but if you do have Chrome installed, anything you tap on in a Google app like Google+, Gmail, Google Translate…a native YouTube app…perhaps an upcoming Maps app, all goes to Chrome. You get the picture. 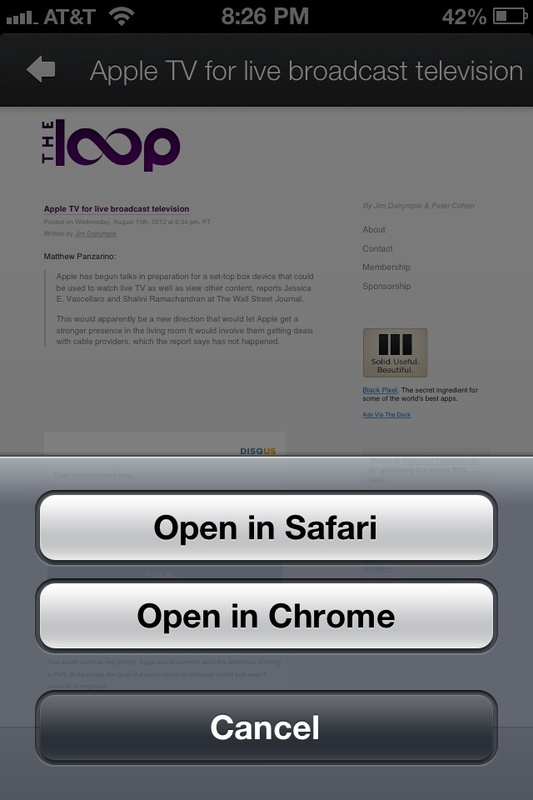 It’s actually a super clever workaround to the ‘no outside default browsers on iOS’ problem. Bravo Google.